Ask any sales person and they will agree the only metric of success that really counts in sales is the purchase decision—the point when the customer, after weighing the options decides to commit to buying your product or service. By comparison, no such metric has really ever existed when it comes to gaining buy-in and commitment to organizational change in the workplace. The science of getting people to commit to change at work has been obscured by flowery language and murky measurements—that is until now. Selling Change explains the science behind what makes workers “want to” commit to change and transformation at work. Building on decades of academic research and professional experience consulting and leading some of the world’s largest and most complex organizational transformations, the book explores the author’s original research into how highly engaged change commitment leads to higher performance in iconic companies from Build-A-Bear and NYU Langone Medical to Chipotle. It also introduces a simple, highly predictive, change commitment tool— the 2IsC™ Model (Impact, Influence, and Consistency)—that enables you to measure the strength of your team’s change commitment and resistance levels and track improvements over time. Whether you’re leading a small team, a school, a federal agency, or a Global Fortune 500 company, Selling Change provides a clear, scientifically-proven, and repeatable approach to successfully launching and leading transformational workplace change. 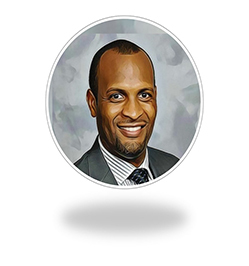 Robert has over 15 years of experience designing and leading organizational change and transformation initiatives at a range of organizations including Fortune 500 companies, global private organizations, nonprofits and U.S. federal government agencies. He is the founder of The Change Shop™, LLC, an integrated, cloud-based change management platform that helps leaders “put change in the bag” by building high-performing organizations through a suite of web-based change management solutions, leadership assessment tools, and change simulations. 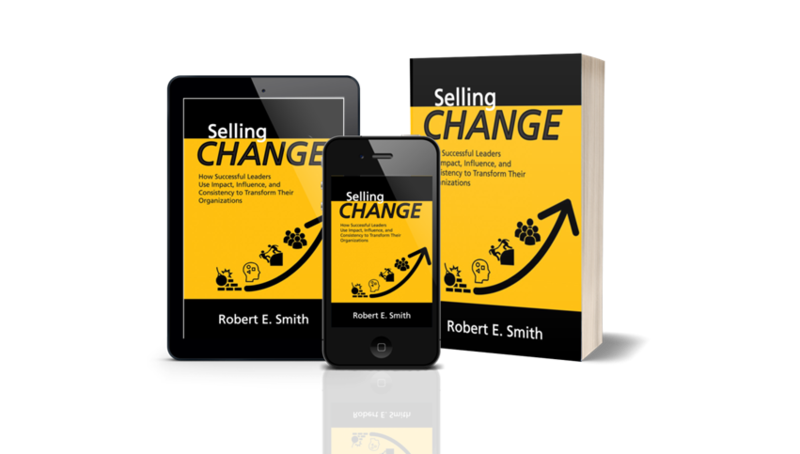 The designs for The Change Shop™ and the book, Selling Change, are based on Smith’s experience partnering with leaders ‘in the trenches’ to make difficult organizational changes a reality. Successfully driving change is one of the most critical, yet least-understood, concepts for leaders. Selling Change combines an academic primer with new, cutting-edge research to provide practical insights and concrete steps for those tasked with moving organizations to the future. When leading change one needs to bring their team along on the journey. Gone are the days of the change hero, doing it all alone. Selling Change provides an actionable, implementable way to create the buy-in needed for sustained change success. I use these methods and they work! As a leader responsible for supporting people processes in a complex organizational setting, one of the biggest lessons from the book is the importance of managing stakeholder expectations and emotions during the early phases of change planning (even before impacted stakeholders decide to commit to the change and demonstrate new ways of working) and throughout each stage of the change process. Robert explores change management through real-world case studies, not just theory. This is important because leaders are starving for examples and tips to effectively lead their change initiatives; not more static templates and tools. The book does a superb job of bringing together all three while avoiding over-complicated analysis which made it simple to read cover to cover in an afternoon. I recommend Selling Change to any leader looking for a fresh perspective on leading change and practical tips in how to make change a reality in their workplace. — LaTranda Martin, Organization Design and Change Management Director, The Estee Lauder Companies, Inc. Being ‘born’ from asking the question: ‘How do we get people to commit to organizational changes that could result in the worst possible outcome for them personally—the loss of a job?’ the 2IsC™ Model is thought provoking and challenges conventional change management thinking. 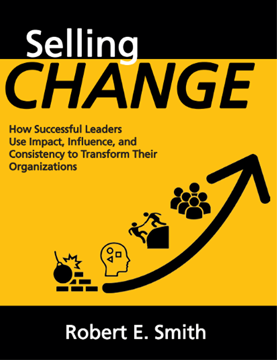 In Selling Change, Smith challenges change leaders to communicate the need for organizational change using impact, influence, and consistency. The focus on outcomes-focused organizational change is critical given the rapid pace of change we face every day.